The Brave Few, brand experience agency, brings healthy dog food start-up, Different Dog, to pet trade show PATS at Sandown, February 10-11, 2019. Different Dog is the first pet food company to hand cook different recipes each week, sourcing fresh human-grade produce and seasonal ingredients. With dishes including Lamb Hotpot, Comforting Chicken and Keep Me Trim Turkey, the brand caters for dogs of all sizes and ages, following the premise that dogs deserve a quality, nutritionally balanced dinner as much as the rest of the family. 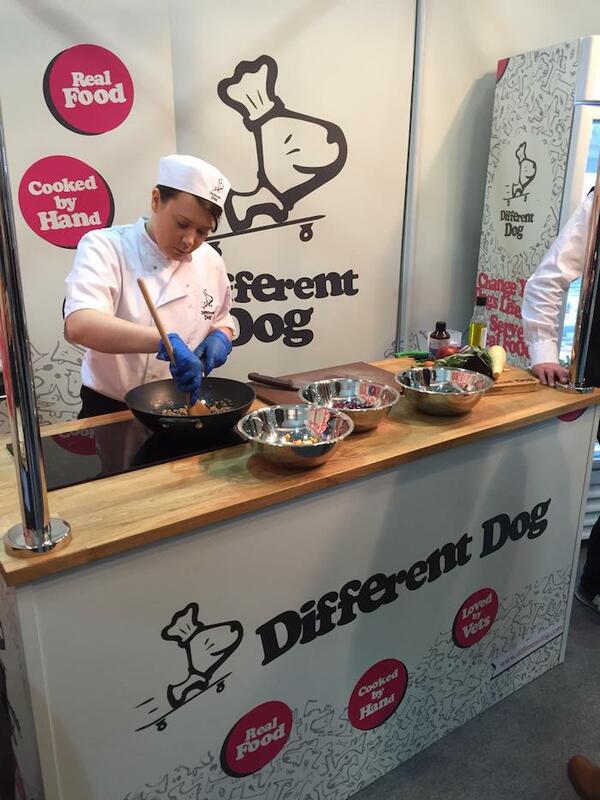 To showcase Different Dog’s emphasis on natural, fresh ingredients tailored to dogs, The Brave Few have worked with the Different Dog team to create a ‘pet food first’, live cookery demonstration, showing just how much care and quality goes into every batch. In addition to PATS, Different Dog will be attending London Dog Week and Dog Fest this summer.